We offer a selection of quality vacation rentals in Spetses. Unforgettable scenes of natural beauty are created by the harmonic combination of crystal clear waters and aging pine trees. Countless picturesque coves, around the island offer visitors with moments of peace and tranquility. Either by land or sea various forms of transportation, make every part of the island fully accessible. A walk in the forest enables the visitors to experience the unique atmosphere of Spetses. One should not miss visiting the Museum of Spetses, situated at the mansion of Hadziyiannis Mexis (one of the wealthiest leading activist of that era), the main mansion of heroine Laskarina Bouboulina, now private museum and the historical monastery of St. Nicholas, where on April 3, 1821, the locals took the oath "Freedom Or Death" and joined the revolution. 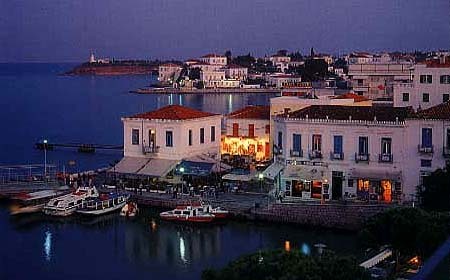 Traditional sites, already missing from other parts of Greece decorate the village of Spetses. The famous Spetses ship-yards with their wooden keels, the mansions of the great captains and admirals from the last century with their own characteristic architecture, the picturesque churches in every neighborhood which were built after Byzantium Empire, the squares and the alleys with Spetses designs of their pebbled floors, the horse and buggies, and so much more that someone can come across, reveal a way of life different to that of the city. Beaches of golden brown sand and bright pebbles as well as the numerous natural coves, inside and outside of the village, are there to offer their cool waters. 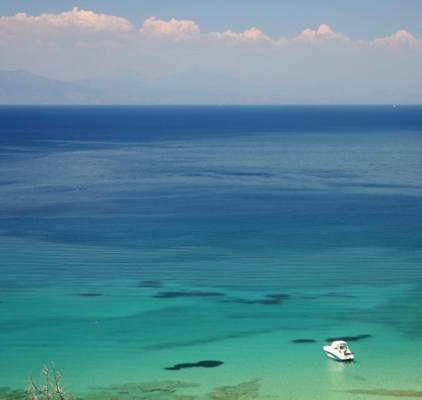 Large or small boats leave everyday from the main harbour (Dapia) taking the more eager visitors to organized beaches around the island such as Xilokeriza, Agii Anargiri, Agia Paraskevi and Zogeria. For those who prefer swimming closer to the center or further away on their "own" coves, other means of transportation are available or even rentals for the more adventurous. From Piraeus to Spetses (distance 35 nautical miles) there are ferries during the whole year. For more information contact the Coast guard of Piraeus tel. 0030 - 210 4511311-19. For the local connections of Spetses contact the Coast guard of Spetses tel. 0030 - 22980 72245. The most important Spetses Festival of religious and historical meaning is "Armata" in early September with weekly events leading to their peak on the 8th. Locals together with thousands of guests celebrate the anniversary of the great Spetses naval battle, one of the most significant battles of the 1821 revolution. At that stage of the revolution, Peloponese had been freed and the only fortres under Ottoman occupation was Palamidi of Nafplio, which was surrounded from land by D. Ypsilandis army and sea by Bouboulinas fleet. The Ottoman navy in order to break the siege, intended to destroy the islands of Spetses and Hydra, the main naval bases of the area. On the 8th of September 1822 a fierce naval battle took place and the enemy fleet was defeated to retreat after loosing their flag-ship. Spetses honours every year that courageous victory with a spectacular dramatization which enables the thousands of viewers to re-live some of those heroic moments.